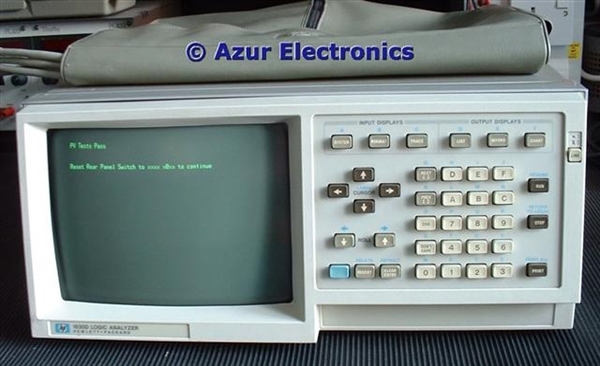 I have bought 3 HP 1630D Logic Analysers, in fact one has been modified to a 1630G, so I have some spare parts that may be of use to someone else. A complete set of Pods 0 to 4. The HP 1630D has the A4 Master State Board (lower position), the A5 Master Timing Board (middle position) and the A8 Timing Slave Board (top position) fitted. 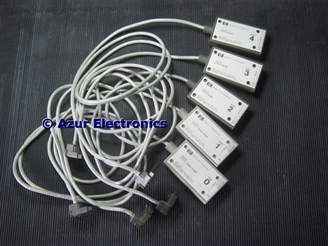 This provides 0, 27, 35, or 43 state channels, 3 clock channels and 0, 8 or 16 timing channels. 3 off HP 10271A State Probes, Pods 4, 3 & 2 are fitted to the lower Board. 1 off HP 10272A State/Timing Probe, Pod 0 is fitted to the middle Board. 1 off HP 10272A State/Timing Probe, Pod 1 is fitted to the top Board. Someone had cut these cables on one of the Logic Analysers! 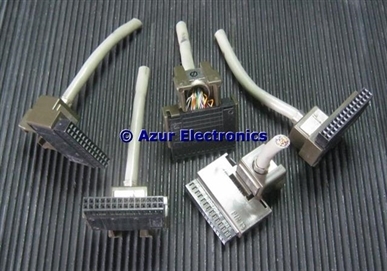 As these connectors are hard to find they may be of use. 5 x Special 28 Way Sockets.